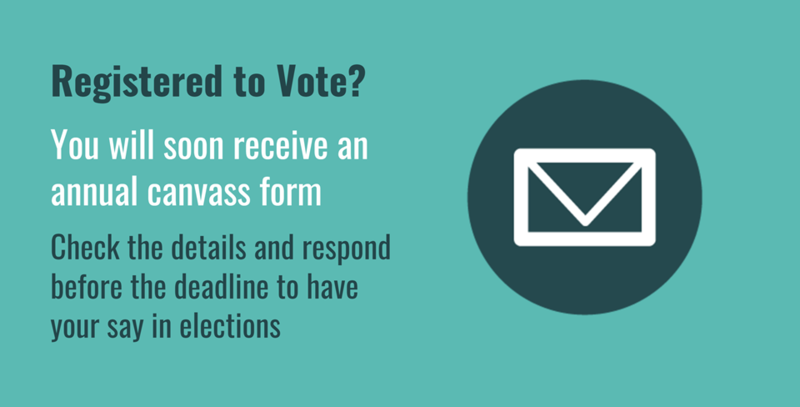 The mail-out is part of the Borough’s annual voter registration canvass – which is designed to ensure that the electoral register is up-to-date and to identify any residents who are not registered so that they can be encouraged to do so. With local elections taking place in May 2018, this is an opportunity for residents to make sure they will easily be able to take part. We have a duty to get in touch with people to canvass properties so we know if any changes have happened. Residents may have moved out or new ones moved in. We need our register to be as accurate and complete as possible so residents don’t miss out on their vote. Research by the independent Electoral Commission indicates that recent home movers are far less likely to be registered than those that have lived at the same address for a long time. Across Great Britain, 96 per cent of people who have been at their property for more than sixteen years will be registered, compared to 27 per cent of people who have lived at an address for less than one year. It’s really important that everyone who is entitled to vote is able to do so. There’s lots of helpful information about registering to vote on our website www.yourvotematters.co.uk.